Up until today, the only release date anyone had been given for Telltale’s upcoming series based on DC’s iconic Batman was “summer”. 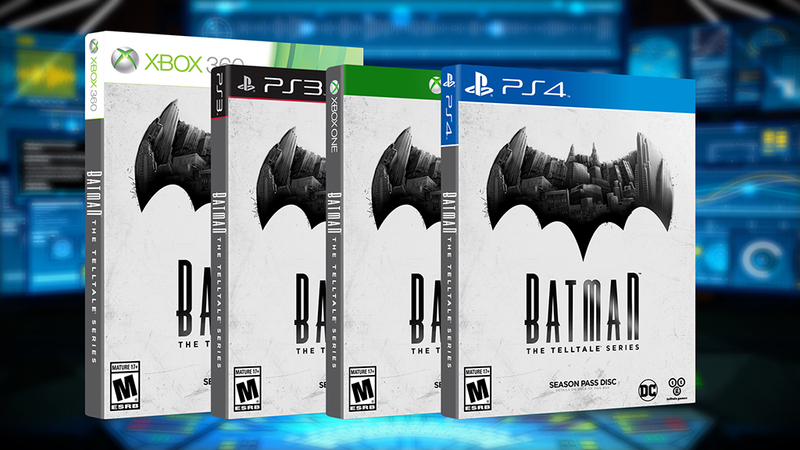 Today Telltale has narrowed down that window for both the physical as well as the retail release Batman: The Telltale Series. Those who want to play the series digitally can start in August with a more precise release window coming soon alongside a launch trailer, while those who wish to own a physical copy of the game will have to wait until September 13th. Those who reside in Europe will have to wait three extra days for the physical disc as it arrives in that territory on September 16h. The physical release will contain the season premiere episode with the additional four becoming available via online updates similar to how they handled the recent Minecraft: Story Mode. As someone who purchased full season passes for three Telltale series and then went out and bought physical releases when they became available, I’m going to hold out for the physical release in September and am very happy that Telltale has moved to this new model. I’ve never really played a Telltale game before. Could you elaborate on your reasons for waiting it out and grabbing the physical copy? Telltale games are released episodically over a period of time digitally. Up until Minecraft, you could buy them digitally and play them as they came out, but they also released he full season on disc when it was all over.